Tsukiji Wholesale Fish Market by Mikkel Örstedholm | Definitive Touch - Men's Contemporary Style. 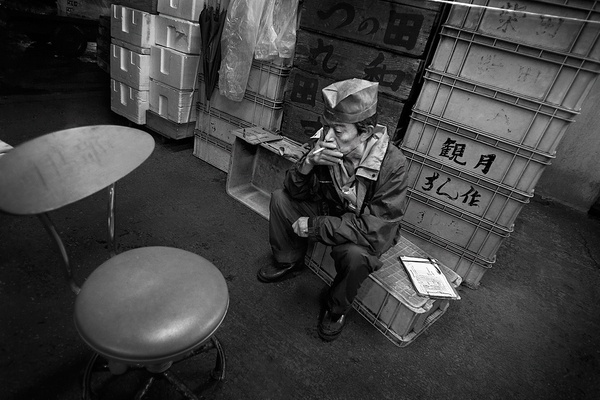 Mikkel Örstedholm takes an atmospheric behind-the-scenes look at Tsukiji Wholesale Fish Market, the biggest wholesale fish and seafood market in the world and one of the largest wholesale food markets of any kind. Located in central Tokyo, these photos capture the moods of its workers, who cater to a flurry of buyers in the early hours of the morning.